Emergent and early writing opportunities can be integrated into every area of the classroom. Making traffic signs for cars in the block area, writing names on a waiting list for the computer and taking orders on a pad of paper for the restaurant in the dramatic play center are all excellent ways to embed meaningful writing experiences into the daily play activities of the children. 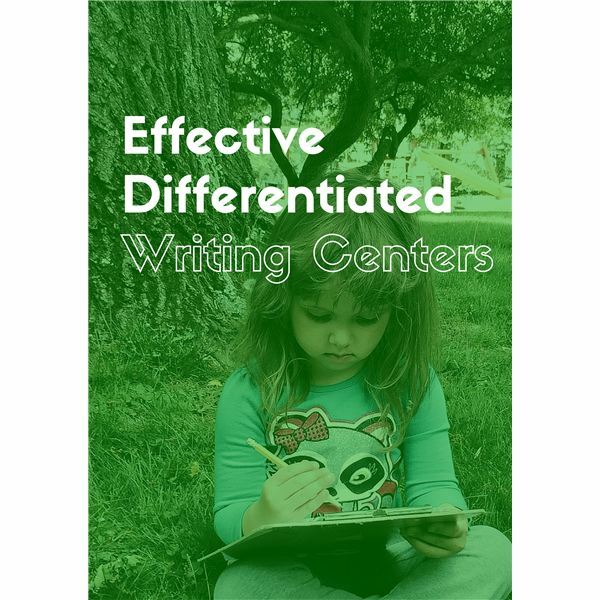 Another researched-based strategy is to include a differentiated writing center as a workstation for children to explore and develop their writing skills. The goals of a meaningful writing center include representing ideas and thoughts through drawing and print, understanding that print has meaning and is meant to be “read," developing fine motor skills to gain more control of writing and developing an understanding of print concepts such as left-to-right progression. A differentiated writing center must be inviting and motivating while providing appropriate opportunities for children of all skill levels to be actively engaged. It should build upon the child’s prior knowledge and skills to construct new knowledge and skills. It must allow for active participation in all stages of writing. Provide plenty of blank paper along with dry erase boards, chalkboards and a wide variety of writing utensils such as markers, crayons and colored pencils. Children can put their ideas onto paper by scribbling. Treat these as meaningful writing from the children. Adding letter stamps and/or magnet letters will allow your pre-writers to feel successful and provides an authentic means of exposure to letter shapes and forms. Children’s scribbles will begin to look more orderly and controlled. They may be able to begin using the scribbles to represent words. Providing sensory-filled opportunities for practicing fine motor skills will aid in the child’s fine motor control. Try using a shallow pan with a layer of sand to “write" in or a gallon-sized sealed baggie filled with paint to have some squishy writing fun. Materials to model letterforms are essential for the children beginning to create letter-like forms in their writing. Word cards and alphabet charts support the children in letter modeling and recognition. Teachers can put high-interest printed words in sheet protectors and place them in a binder. The children can use dry erase markers to write on and wipe off their writing. Blank books and stationary are effective ways to encourage children to write messages and support letter strings. In addition, creating a message center for their classroom peers is a motivating way to get children writing and reading. Children begin to write and spell according to what they know about the sounds of letters. Celebrating their spelling attempts is crucial to building their confidence in expressing themselves through print. Providing unlined paper is suggested because it provides freedom for the children to focus more on the writing and less on the challenge of writing “on the lines." Word cards and mini-books allow for children who are ready to self-check their spelling and compare it to print in books and around the room. An effective writing center can support children at all levels of writing. Remember to accept all writing attempts as valid and meaningful. Changing the colors and textures of the paper, the writing utensils and word cards will keep the center interesting and a focal point of the classroom and help create a new community of young writers. Moomaw. S. & Heironymus, B. (2002). More than Letters: Literacy Activities for Preschool, Kindergarten, and First Grade. Redleaf Press. St. Paul, MN.